It’s not necessary to be an expert gardener to keep the greenery growing in style at home. When the mood calls for some indoor greenery, a rock planter is the perfect base display for indoor foliage that doesn’t require a ton of attention. This time-efficient project keeps the materials natural and the final effect delightful. 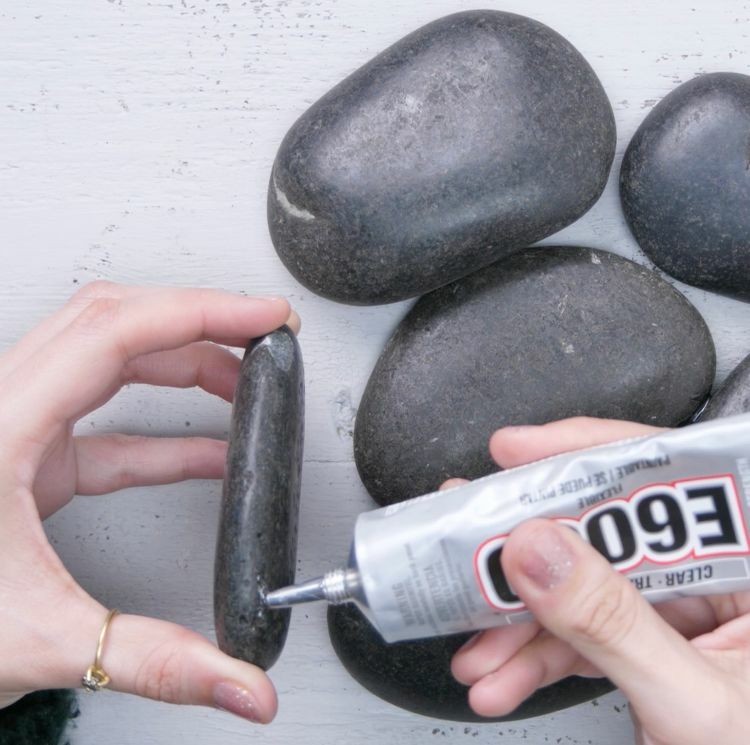 Attached with nothing more than super glue, it doesn’t take much to strategically place beautiful stones into an arrangement fit for holding houseplants. 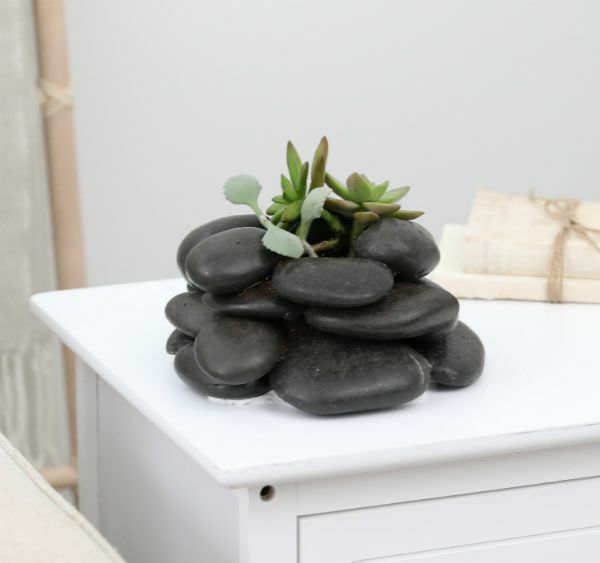 A rock planter provides an opportunity for creative inspiration, with options to change up the hue, size or texture of the rocks to fit the look of the room. Beautiful to display and simple to move around at will, a rock planter can play host to a variety of plants and flowers in the home. 1. 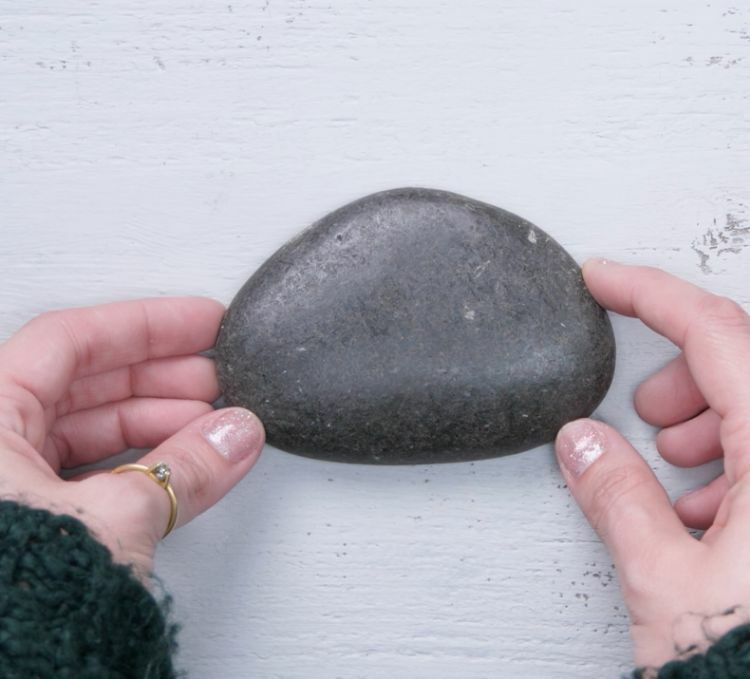 Place a single large rock in the center of the table. 2. 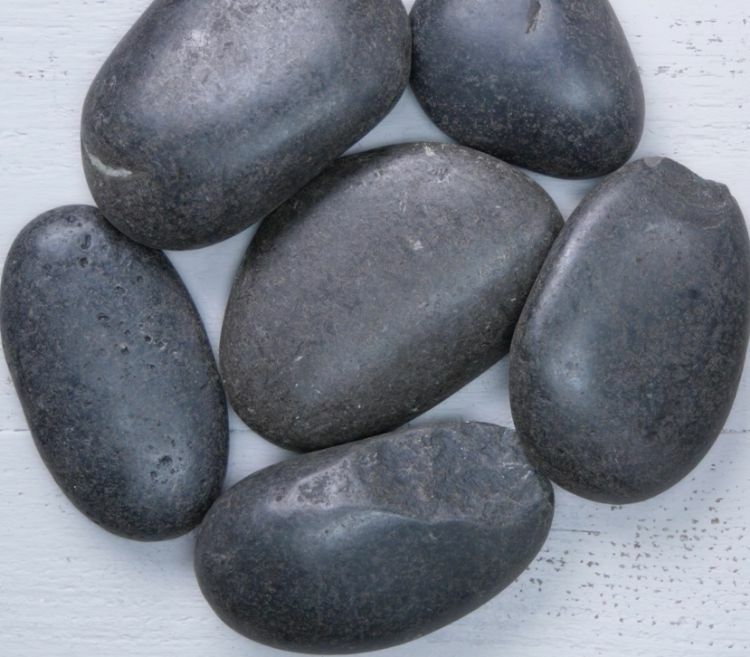 Carefully arrange 5 rocks around it in a circle, allowing for multiple points of contact with all edges. 3. 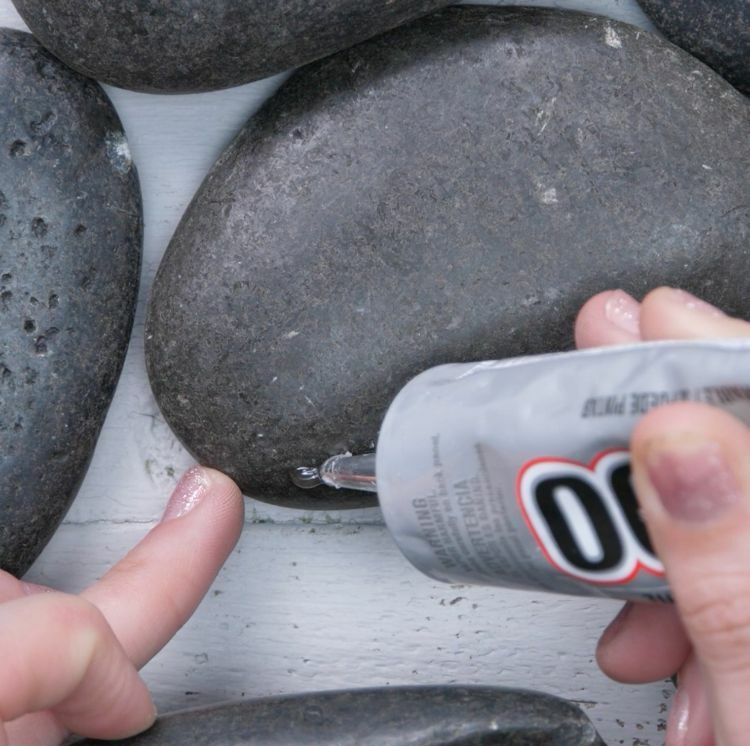 Place 3 spots of super glue on each surrounding rock making sure the edges connect to the center rock as well as the 2 rocks on either side. 4. Once the 5 rocks are securely connected to each other and the center base rock, repeat the pattern in a second layer by placing 5 additional rocks on top of those that are already attached. 5. 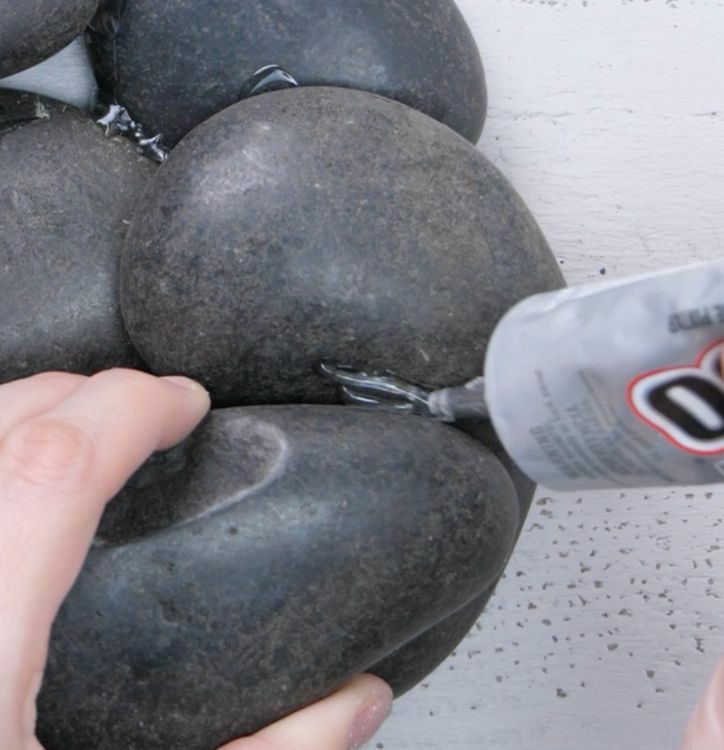 Attach the second layer of 5 rocks together with super glue both at the adjoining edges as well as the bottom surface to connect to the layer below. 6. Repeat this process with a third layer of 5 rocks. 7. 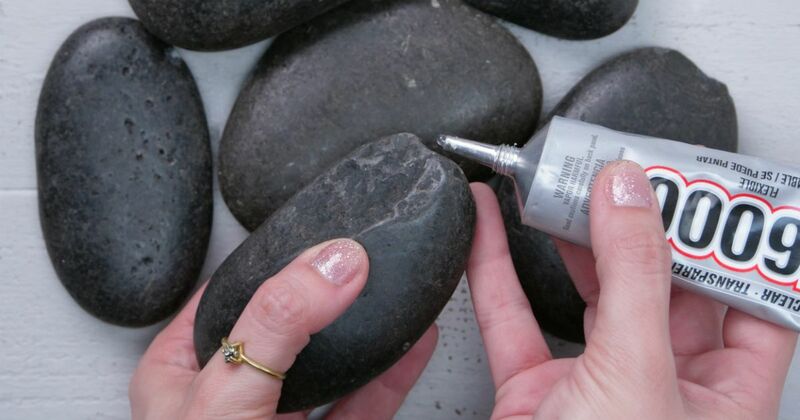 Place the 2 remaining rocks within the design for an aesthetically pleasing look and attach with a spot of super glue. 8. 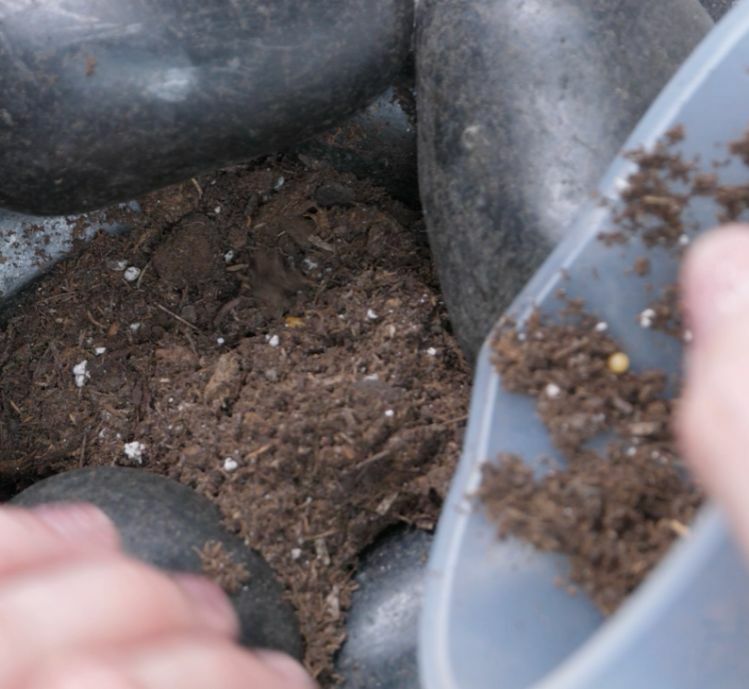 Pour 1 cup of potting soil into the center of the rock planter leaving approximately 2 inches of space towards the top. 9. Place 3 succulent plants into the soil and display the planter on a shelf or countertop.